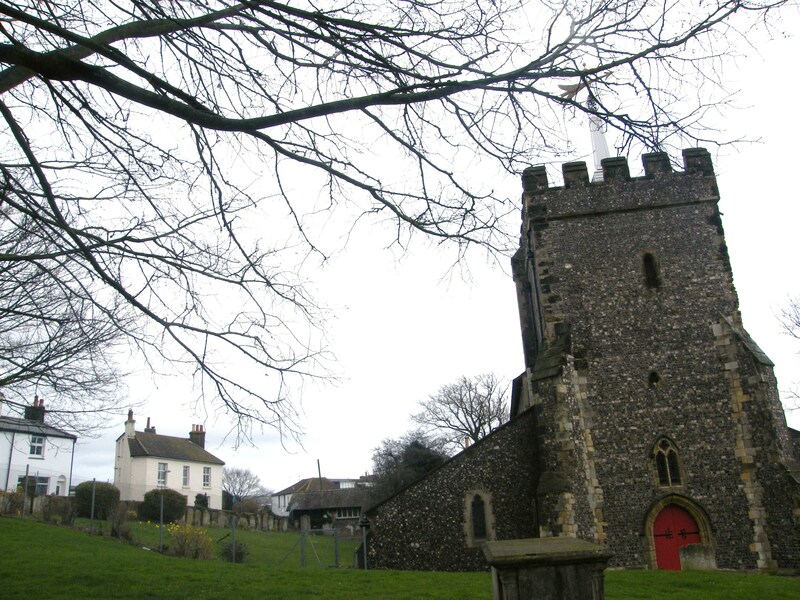 St Nicholas Church, built in the middle of the 14th century, is one of the oldest buildings in Brighton. It has also seen its share of some of our city’s most interesting women. In 1726 a baby called Martha Killick was christened here. 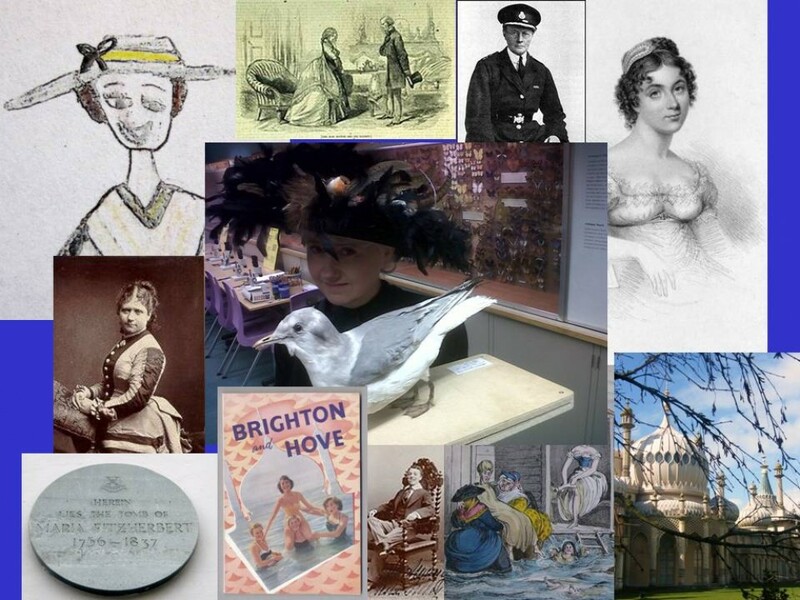 She was later to find fame as Martha Gunn, the most successful of Brighton’s formidable bathing women who reigned supreme during the craze for wealthy Londoners, the Prince Regent among them, to take the fashionable sea water cure in Brighton. 89 years later Martha was buried right there in the churchyard in a shady plot that happens to be – appropriately for the ‘Queen of the Dippers’ – on one of the highest pieces of ground. Not far from Martha’s grave is that of the legendary Phoebe Hessel who, aged 15 and disguised as a man, ran away to join the army. Phoebe managed to lead a military career for 17 years until a bayonet wound revealed that she was a woman, leading to her services as a soldier being swiftly dispensed with. In more recent years, Flora Robson, one of the most iconic British actresses of the twentieth century, known locally as much for her charity work as her acting, spent the later years of her life at nearby Wykeham Terrace and was a regular member of the church’s congregation. I’d be surprised, however, if any visitor to St Nicholas Church, caused quite as much of a stir as a certain Sarah Forbes Bonetta, whose wedding ceremony was held here in August 1862. Sarah was as close to the heart of British upper-class society as it was possible to get, having been virtually adopted at an early age by Queen Victoria. But don’t let her typically English name fool you, because Sarah Forbes Bonetta was from Africa. It’s thought that Sarah was born in 1843 in what is now southwest Nigeria of royal blood. 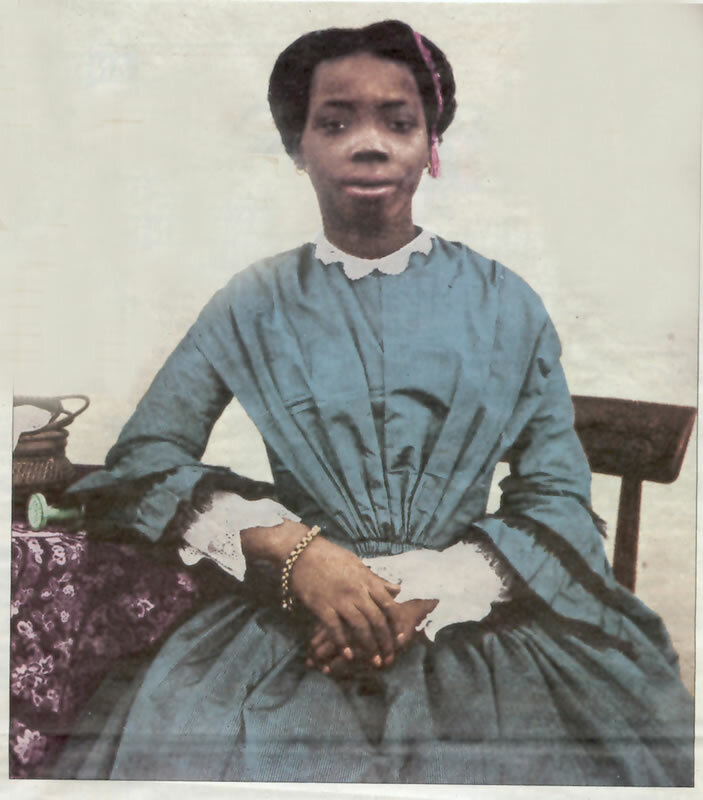 Aged eight she was orphaned in inter-tribal warfare and captured by slave raiders. When she was found by Captain Frederick Forbes of the Royal Navy, she was a prisoner of King Gezo of Dahomey, who, according to American website http://www.blackpast.org was ‘the most notorious slave trading monarch in West Africa in the early 19th century.’ Captain Forbes had been sent to Dahomey by the British government in an attempt to persuade King Gezo to give up slave raiding and trading. 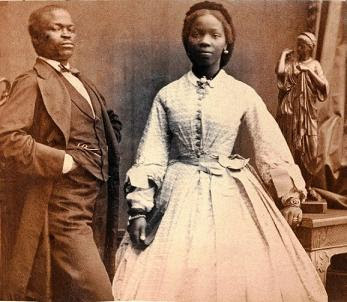 When he came across the 6 year old Sarah – known as ‘Ina’ – he persuaded King Gezo to release her by suggesting that she would make an excellent ‘gift’ for Queen Victoria. ‘A present from the King of the Blacks to the Queen of the Whites’ was how he put it, thereby securing her rescue. Before setting sail for her new home, the girl was baptised Sarah and given Forbes’s surname, ‘Bonetta’ coming from the name of his ship. Forbes wrote in his diary that his young charge was a ‘perfect genius… far in advance of any white child of her age in aptness of learning, and strength of mind and affection…’ Sarah’s first meeting with Queen Victoria took place on November 9th, 1850 at Windsor Castle. She would have been aged about seven or eight. What on earth would such a young child, African born, and having spent the last couple of years of her life as a captive of slave traders, have made of suddenly being launched into the heart of regal pomp and power in England on a cold November day? Queen Victoria, who always took a shine to genuinely talented people, instantly liked Sarah, declaring herself impressed by her regal manner and intelligence. Following Captain Forbes’ death in 1851, the Queen entrusted Sarah to the care of a family in Gillingham, paid for her education, and regularly welcomed her at Windsor Castle where she delighted in her company and musical talent. When Sarah developed a cough a year later, concerned that the English climate wasn’t good for her health, she arranged for her to continue her education in Sierra Leone. In 1855, however, despite excelling academically, Sarah chose to return to Britain and the care of her unusual god-parent. 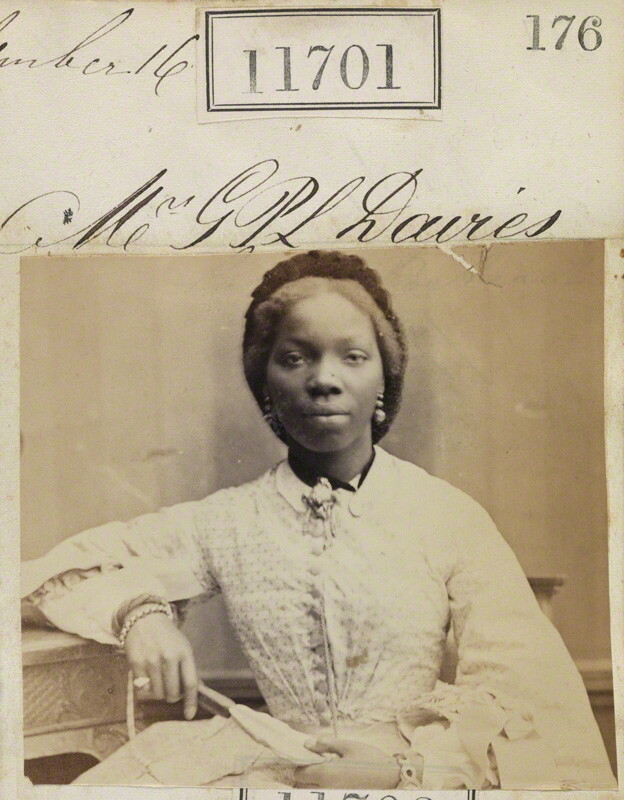 In August 1862, not long after attending the wedding of Queen Victoria’s eldest daughter, the Princess Royal, Sarah was given permission to marry Captain James Pinson Labulo Davies, a 31-year-old Yoruba businessman from Sierra Leone who was based in London. There are a lot of websites telling Sarah’s story and many question whether ‘permission’ in this case would be better described as ‘pressure’ because it seems that, initially, Sarah’s interest in Captain Davies’ proposal was lukewarm. If she was as academically gifted as described, and having had the best education (for a woman at the time) that it was possible to have, it’s tempting to think that the life of a respectable and subservient Victorian wife wasn’t such an attractive destiny. Living through the dramatic events of her childhood and then being thrown into a completely different culture must have made her a resourceful and practical young woman. I wonder if she saw a more useful outlet for her remarkable skills? While deliberating on her choice she was sent to stay with a couple of older women in Clifton Street, Brighton. Whether this was a deliberate gesture to persuade the twenty-year old Sarah of the virtues of making a respectable marriage, the wedding went ahead. It must have been one of the most elaborate ceremonies ever seen in Brighton at the time. No less than ten horse-drawn carriages transported the wedding party, complete with sixteen bridesmaids, from West Hill Lodge to St Nicholas Church. The Brighton Gazette describes watching the procession of ‘White ladies with African gentlemen, and African ladies with White gentlemen’. This photo of Sarah and her new husband was taken just a month after the wedding by French photographer, Camille Silvy, a popular photographer of the royal family, in his London studio. The couple went to live in Sierra Leone where Sarah worked as a teacher (hopefully finding a fulfilling outlet for her skills). Queen Victoria gave her permission to call her first daughter Victoria, and became her godmother. In 1867 Sarah returned to England with her young daughter and the Queen took immediately to her namesake, pledging to support her education. Sarah and her husband had two more children and moved to Lagos, Nigeria. Unfortunately, in 1880, while only in her late thirties, this talented and clever woman, whose life had been so eventful, succumbed to tuberculosis and died on the island of Madeira. Queen Victoria continued to support and take a real interest in the achievements of the young Victoria (below), who like her mother, was a talented musician and was a welcome visitor to the royal household for the rest of her life. During my walking tours last year I was often asked ‘who’s your favourite Notorious Woman?’ Easy question. Mary Elizabeth Braddon. Sometime actress turned novelist, Braddon (1835 – 1915), who once lodged in Brighton’s New Road with her mother, managed to write over 80 novels in her lifetime, including the spectacular ‘Lady Audley’s Secret’, which rocked Victorian readers with its disturbing portrayal of a ruthlessly ambitious woman who will stop at nothing – bigamy, deserting her child, pushing an inconvenient husband down a well – to get on in life. In 1862 when the novel was published (Braddon was only 27 at the time and had rattled off the final third of the book in a fortnight), the home and the woman’s peaceful and stable presence in it were sacrosanct to the Victorians. Scary, nasty things were only supposed to lurk in haunted castles, windswept Gothic mansions, or abroad. The thought that a woman – a wife and mother at that – could generate such horrific acts and murderous chaos was shocking indeed. Lady Audley is presented unapologetically as just a ‘bad girl’ and – worryingly for the Victorians – there is no attempt to engage our sympathy for her by heartfelt descriptions of a sad childhood to blame it on. Braddon was a pioneer of the Victorian ‘Sensation’ novel that specialised in people falling off cliffs, houses being set fire to, hauntings and general Oh My God moments. The titles of some of her novels practically come with their own drumroll…. ‘To the Bitter End’, ‘Taken At the Flood’, ‘Dead Love Has Chains’. I’m not an expert on Braddon’s life story but a few online accounts I have read (a good one here – http://www.theguardian.com/books/2003/aug/09/featuresreviews.guardianreview14)suggest that, for her, life imitated art, if not the other way round. ‘Crooked solicitor father’, ‘struck up a friendship in a graveyard with a man known as the ‘Don Juan of Coventry’, ‘struck up a friendship in Yorkshire with a shadowy figure called John Gilby,’, ‘lived in sin with a married publisher’, ‘had a career on stage with the pseudonym Mary Seyton’ (was the resemblance to ‘Satan’ deliberate? ), ‘mother of many illegitimate children’ are sentences that crop up in enough accounts of her story to suggest she was familiar with the boundaries she stretched in her works. 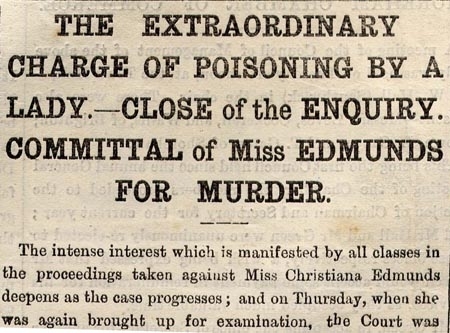 What really impresses me about Mary Elizabeth Braddon, though, is just how good a writer she was. 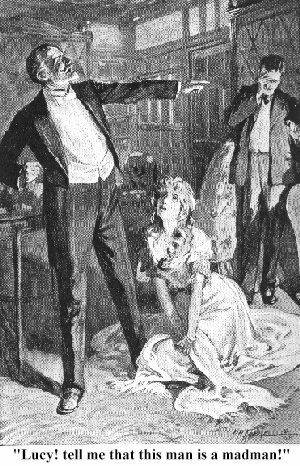 When I set about reading Lady Audley’s Secret last year for research, I expected something either longwinded in the Victorian why-use-three-words-when-fifty-five-will-do’ way, or, taking account of the subject matter, a breathless and hysterical melodrama. What I didn’t expect was a perfectly polished, immaculately plotted work that would have me sailing past my bus-stop, arriving late for work and once cancelling a perfectly good evening out with friends just so I could get to the end. How did she do it? Of course she was remorselessly criticised and looked down on – much as chick lit authors are these days – for not being clever or literary enough, for catering too shamelessly for the masses. Now, a hundred and fifty years later, where are these cleverer and more literary contemporaries of hers? A great deal of them are forgotten, while Mary Elizabeth Braddon’s Lady Audley is still going strong in any number of stage plays, film versions and, of course, the book that’s never been out of print. Did these criticisms upset her? Did she have the time to let them upset her? Hopefully she just shrugged her shoulders and laughed all the way to the bank.